Ask The Champ: What's An Example Of Your Olympia-Prep Training Schedule? He beat the odds and the mega-tough competition to earn the Sandow three years in a row. 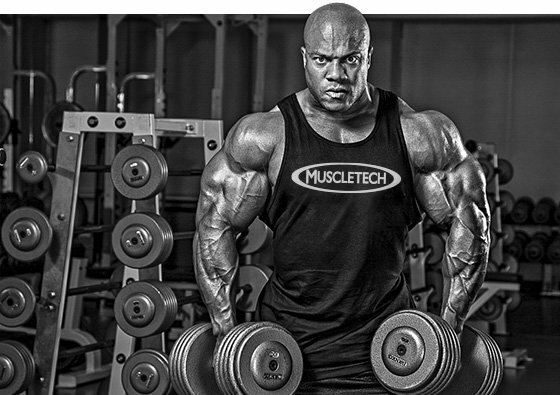 Learn how reigning Mr. Olympia Phil Heath trains to look his best on stage! Can you give us poor mortals an example of how you train? You have to be doing something crazy, right? My goal every year is to be bigger and better than I was the year before. The competition just keeps getting better and the pressure just gets hotter. Nothing gets easier. To keep winning, I have to constantly outdo myself. This constant competition doesn't mean that I do anything crazy in the gym. I stick to bread-and-butter bodybuilding. I hit my muscles from various angles, work on bringing up any weaknesses, and design workouts that are always challenging and helping me progress.